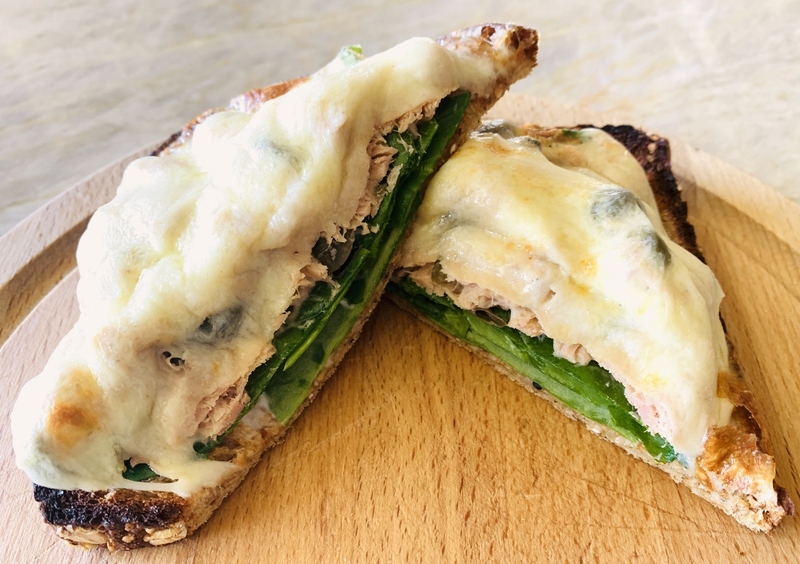 Tuna & Spinach Melts - Recipe! - Live. Love. Laugh. Food. Some days even I don’t feel like cooking, yes I said it. However, me and my family still need to eat and a sandwich always seems to do the trick. Cold cuts or turkey taste run-of-the-mill and remind me of lunchtime, but a hot open-faced sandwich that you have to eat with a knife and fork feels much more like dinner. 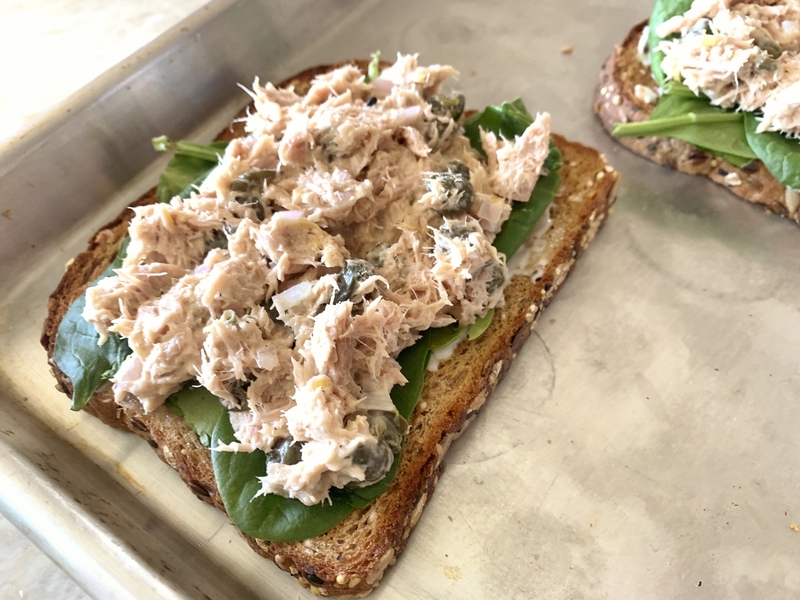 Tuna whether oil or water packed is always available in most people’s pantries and can be transformed into all sorts of wonderful things, especially a hot sandwich. I buy oil packed tuna because who wants to eat waterlogged fish? Not me. So, any variety of tuna, preferably not albacore because it has shown to have a bit of mercury, but if you don’t eat tuna everyday, I don’t think it matters much. After selecting a can of tuna off the shelf in your pantry – grab a jar of capers too, they add the nicest bit of brininess to the party. Mayonnaise needs to be introduced as well, it adds moisture and creaminess – it definitely does the trick here. Dijon mustard is something I can’t live without, it would be my condiment of choice on a desert island right after salt. 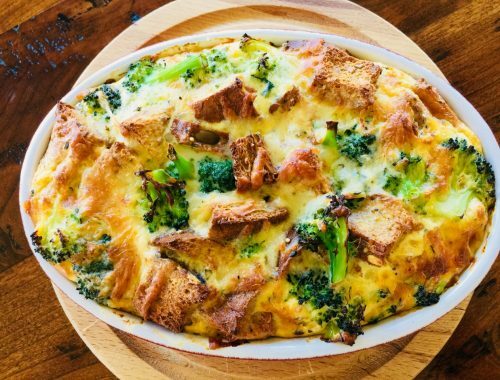 The bread and cheese in this recipe are simple grocery store brands, I like Dave’s Bread – not just because it’s my husband’s name, but because I love the seedy texture and high fiber count on the label. 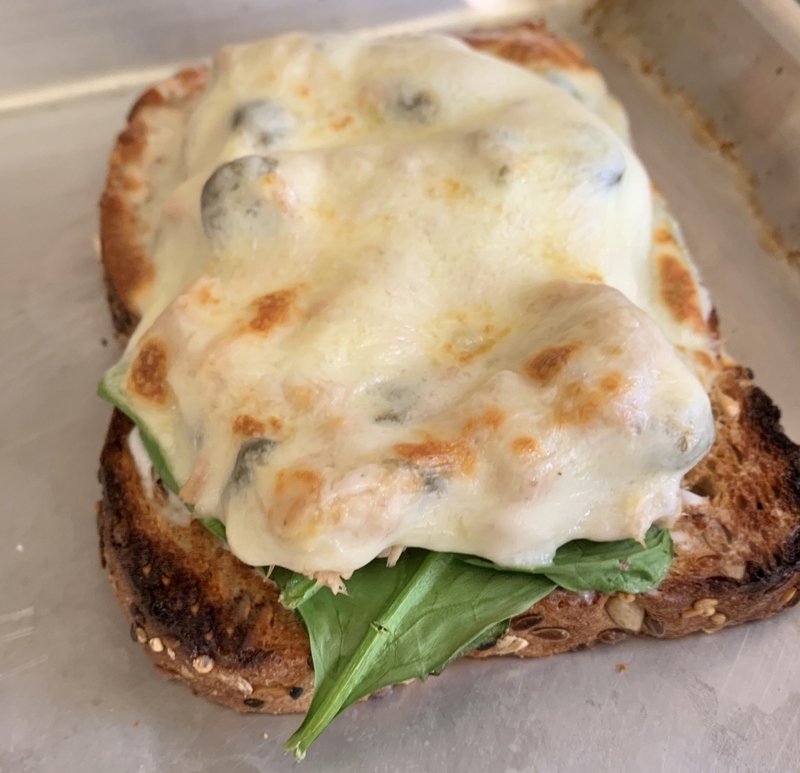 The Provolone cheese melts over the top of the sandwich like Coppertone lotion on your skin on a hot summer’s day – my cheese of choice on this sandwich, and you can never ever get enough spinach. Preheat broiler. 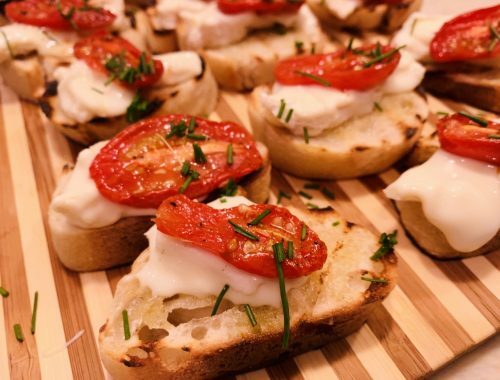 Place bread on a sheet pan and set under broiler for 1 minute, flip over and broiler for another minute. Remove from oven. 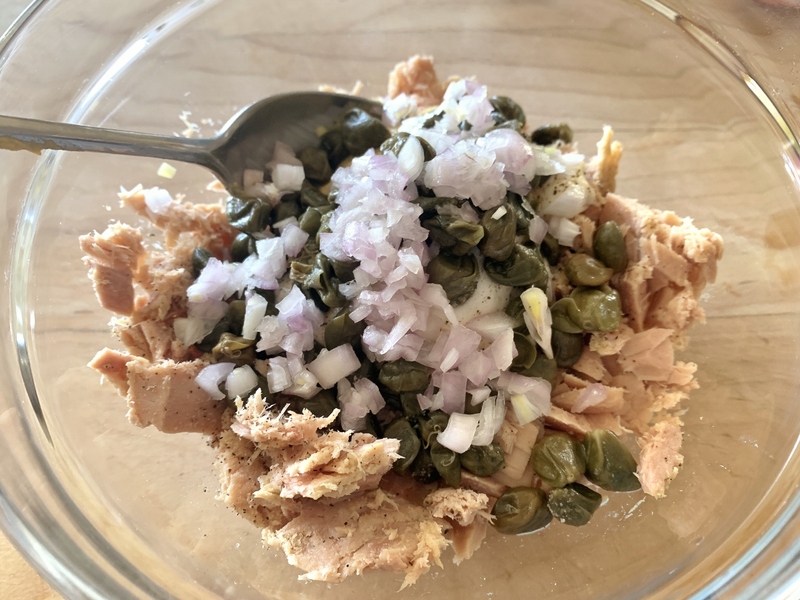 In a bowl, add tuna, 2 tablespoons mayonnaise, Dijon, shallots, capers and a pinch of salt and pepper. Stir until creamy and combined. Spread a thin coat of mayonnaise on each slice of bread and top with spinach. 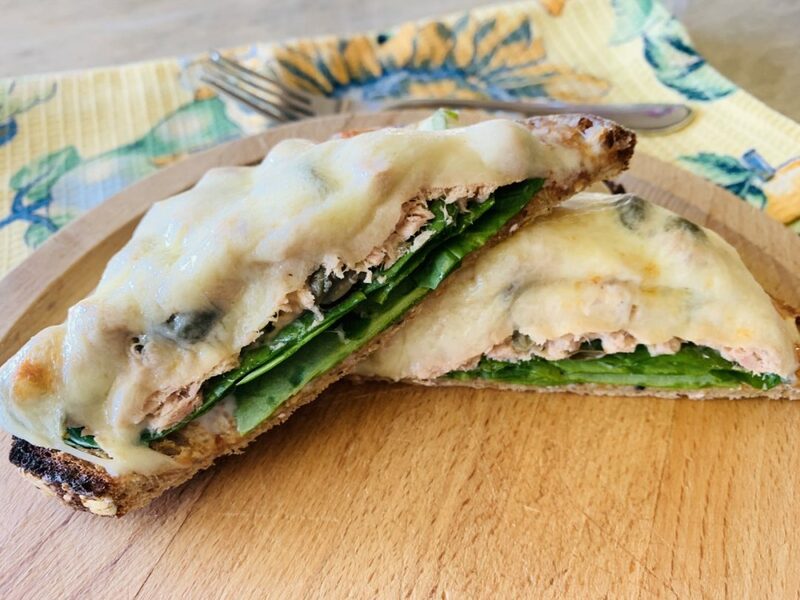 Spoon tuna over spinach and top with two slices of Provolone. 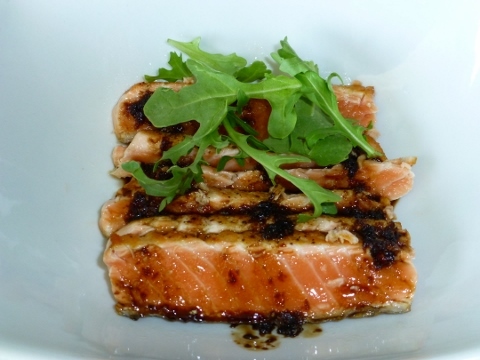 Place sandwiches on sheet pan and broiler for 1-2 minutes, or until just beginning to brown on top. Remove from sheet pan and serve. Enjoy!